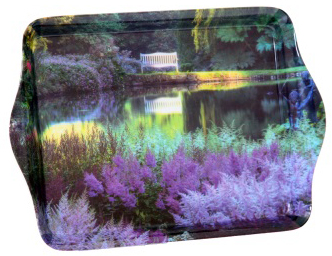 An ideal stocking filler for gardeners and country folk, the Mini Tray - Garden Lake is brilliant for serving a cup of tea and a biscuit on. It is also perfect for tidying away loose change and other small items. Each tray is made of high quality plastic and has to two raised handles on either side with a 1.5cm raised edge. Dishwasher friendly (top rack only).